If you are going through Divorce, you know how difficult it can be to pick up the pieces of your life and start over stronger and wiser. 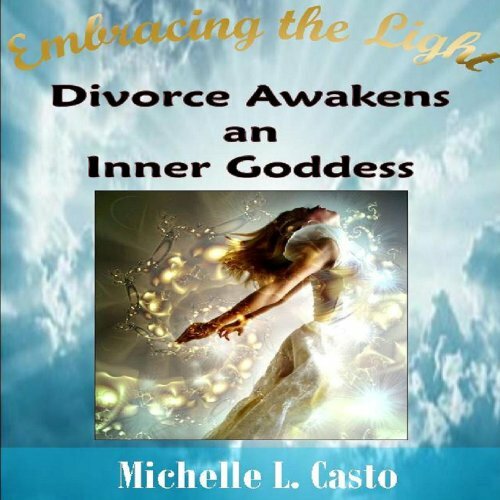 Embracing the Light reveals a personal story of one woman's struggle to end a relationship with a Narcissist (NPD) and how she discovered the Inner Goddess that lived inside of herself. The book also includes self-coaching exercises to facilitate this life transition. Learn the 8 lessons that will allow you to get past the pain and find the purpose that has been waiting for you all along. Written by prolific Personal Transformation author and Life Coach Michelle Casto.